Office Space - Yakutsk, . 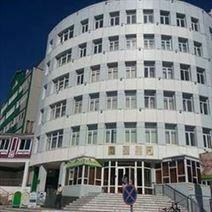 Situated in Yakutsk, these business premises occupy a city centre location, surrounded by lots of attractions, restaurants and hotels in which you can accommodate your visiting clients. The space is accessible 24/7 and features high-speed internet, cutting-edge facilities, well-designed lounge areas and support services on site. In addition, the offices come furnished on flexible terms to provide the best turnkey solution for forward-thinking businesses.